This is a question that is probably asked as many times as it is answered. 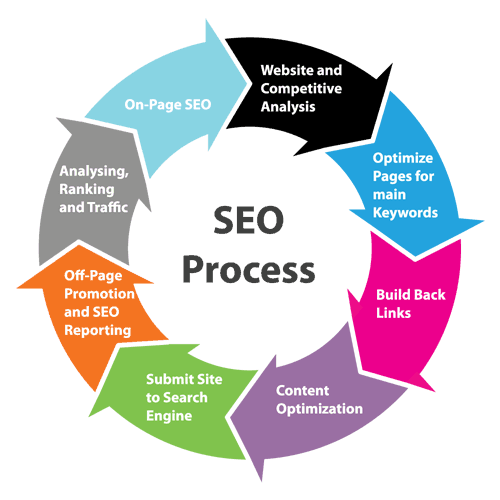 SEO, when done properly, will increase traffic to your business website and from that, the very likely possibility of increased sales for your product or service. The return on your investment in SEO will vary from market to market, but we are confident in our abilities to make your websites presence online as good as it can be. Here’s are examples of successful SEO campaigns with proof positive ROI. TIME INC.: Has 95 iconic media brands that serve 81 million online visitors every month who generate ad inventory they sell to advertisers. Time’s SEOs face duplicate content, lack of thematic grouping by keyword, non-optimal internal links, and significant crawl and redirect errors. They resolved over 500 crawl errors; executed fundamental internal link and anchor text recommendations. Sitemaps were improved, rich snippets were added, and duplicate landing pages were removed. In the 4th of July season Time improved its page 1 Food & Wine 4th of July rankings from 2 to 7 keywords, which led to a 30% gain in organic traffic vs. 1 year earlier. Overall Food & Wine page 1 ranking keyword count improved from 620 to 757 and that led to a 34% increase in traffic and ad inventory. Travel and Leisure keywords ranking and traffic increased 45%. Does this mean your company has to be in the big leagues like these examples to make it? Absolutely not. It is actually easier to rank sites on the local level rather than competing on a national level. If you have the right SEO agency doing your work and have a strategic plan laid out, there is next to no reason why you shouldn’t see massive increases in both traffic, ranking and sales from your site.